I’m going to split our Quebec City weekend trip into a few posts. Only because I have narrowed the photos down to 61 photos in total. But I think posting all those into one single blog post would get a little out of hand and probably boring for those of you reading. The very first photo of the weekend! 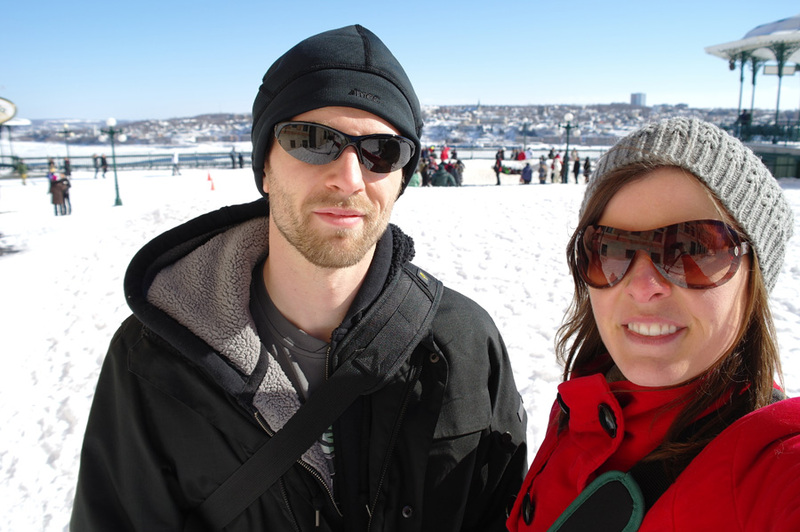 The boyfriend and I walking around exploring Quebec City. 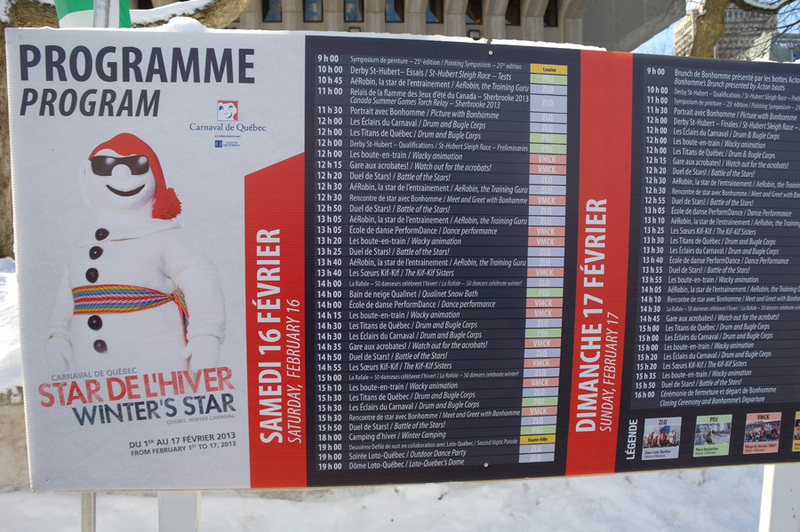 Bonhomme program for the weekend. All in French, as it would be. The carnival was a great spot for kids. I spent a lot of the time creepin’ the kid’s stage as it wasn’t much talking, but more dancing and fun activities to enjoy. 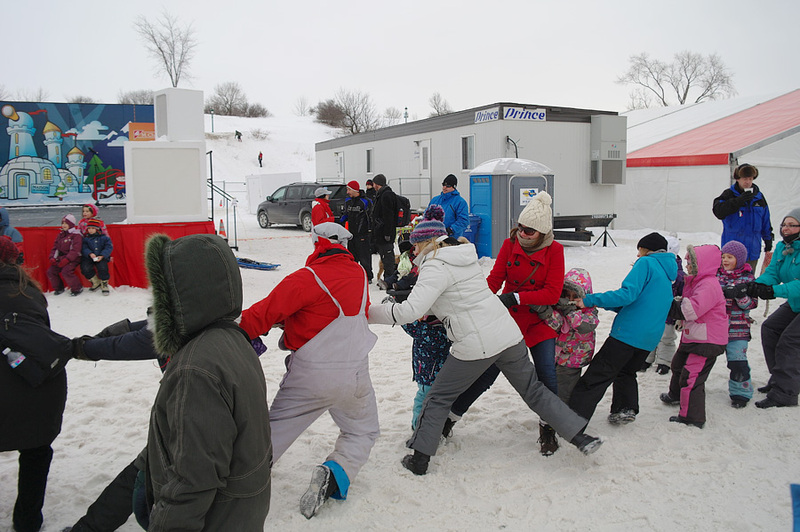 One, being a tug-of-war event. 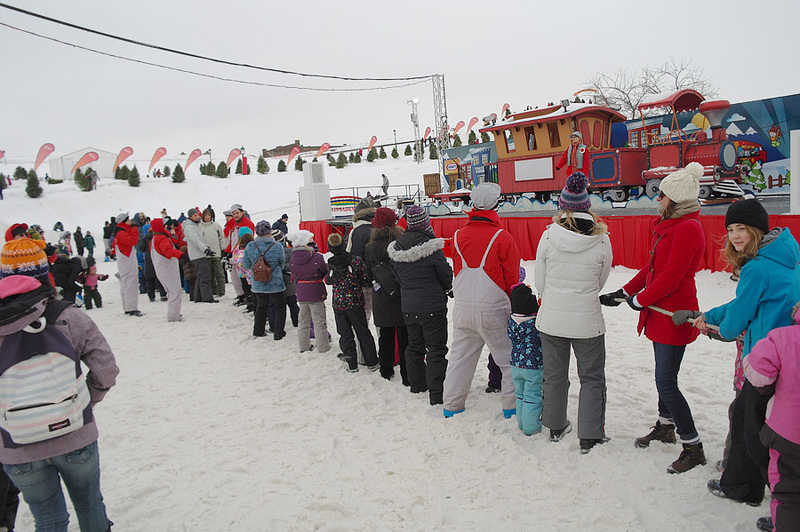 I didn’t realize what the people in train conductor costumes were asking me to do (French speaking), but what I figured out was that it was a female vs male in the tug-of-war. The ladies and girls won one round. Hooray! Waiting for the tug-of-war to star. Can you spot me? 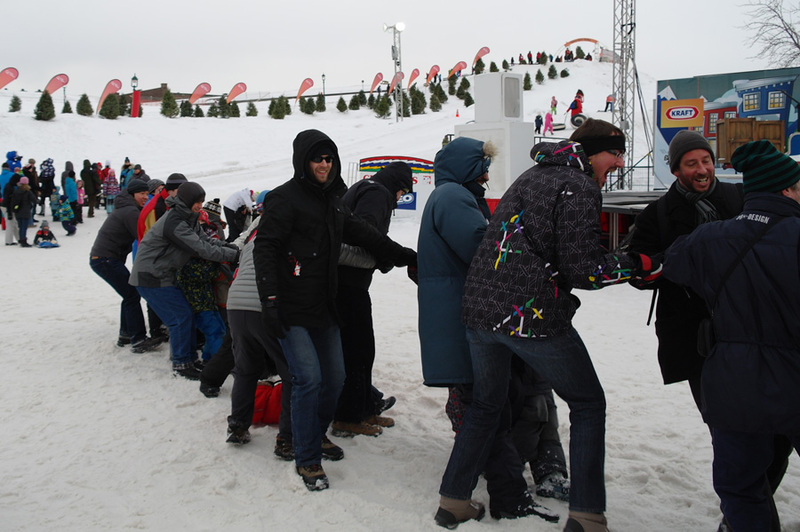 lol Boyfriend had a go at the tug-of-war as well. The men were right into it, and most definitely cheered when they won that round. Hilarious. I bundled up like this for the duration of our three day trip. 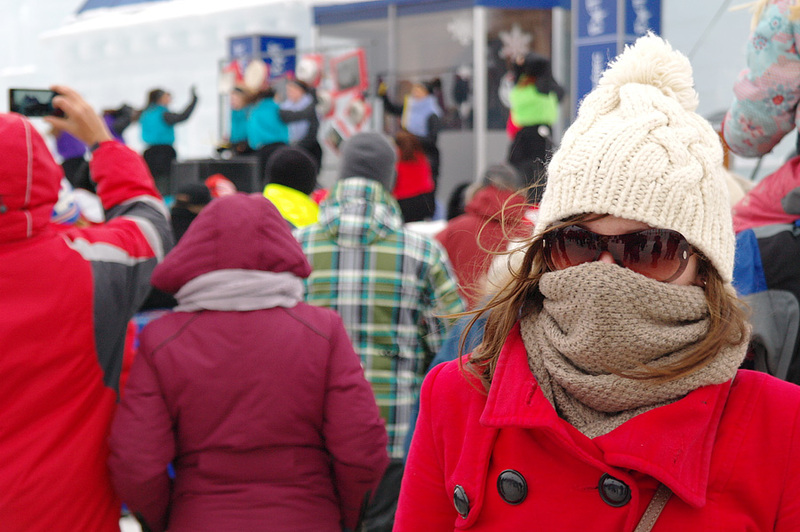 6 layers on top, 3 on bottom, scarf around my face the entire trip. 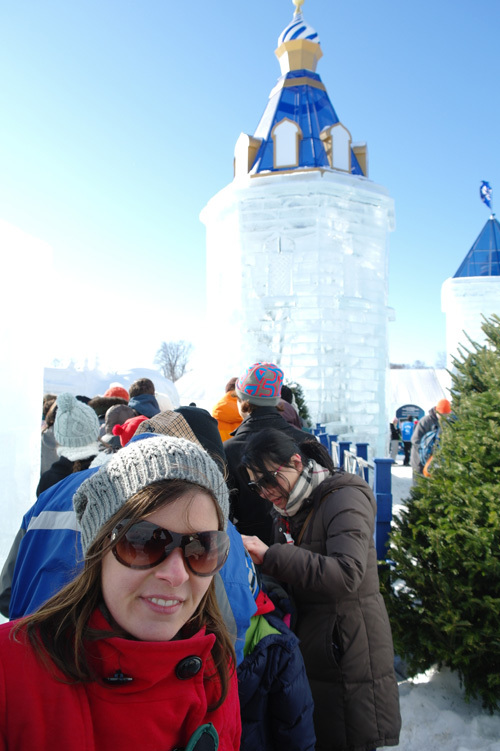 Here I am checking out Bonhomme’s (that snowman shown below) Ice Home. 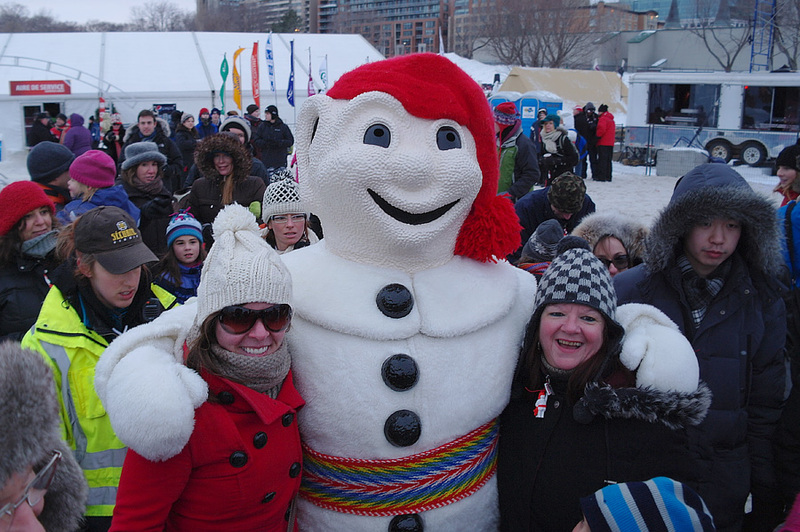 Where he spends the rest of his winter’s stay ;) Bonhomme saying his farewells until next year’s carnival! At the beginning of the trip we were kind of freaked out by Bonhomme. But towards the end of our three day stay we were obsessed with him, and racing to get our photos taken with him. Hahaha.. These identical twin sisters performed an act in these inflatable balloons. Thoroughly enjoyed watching that a few times throughout the three days. Horse Derby was another main attraction, and quite scary to watch for the first time! I thought the men in those steel chairs were going to fly right off their seats with the horses racing around corners and doing 180’s. 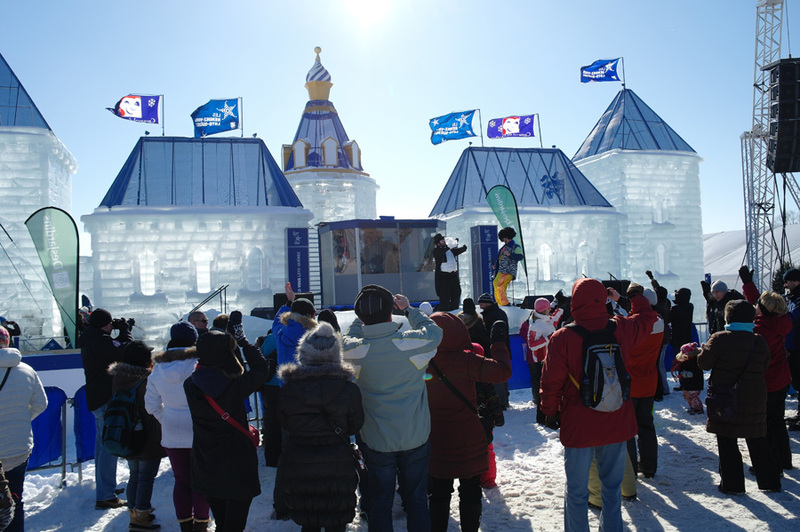 The downtown core of the city was full of ice sculptures and really talented artists made larger than life sized snow sculptures at the Carnival’s entrance. 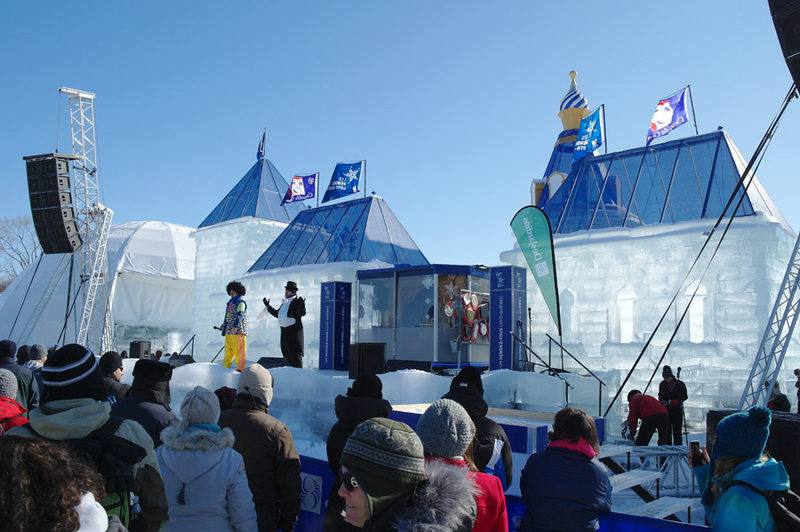 Another shot of the Bonhomme “ice hotel”. Look how HUGE it was! Impressive right? There was an area at the Carnival where they served (expensive) alcohol in these mini glasses. So cute. Another shot of the clear glass-like ice home. Throughout the downtown area there were a bunch of ice sculptures as well. 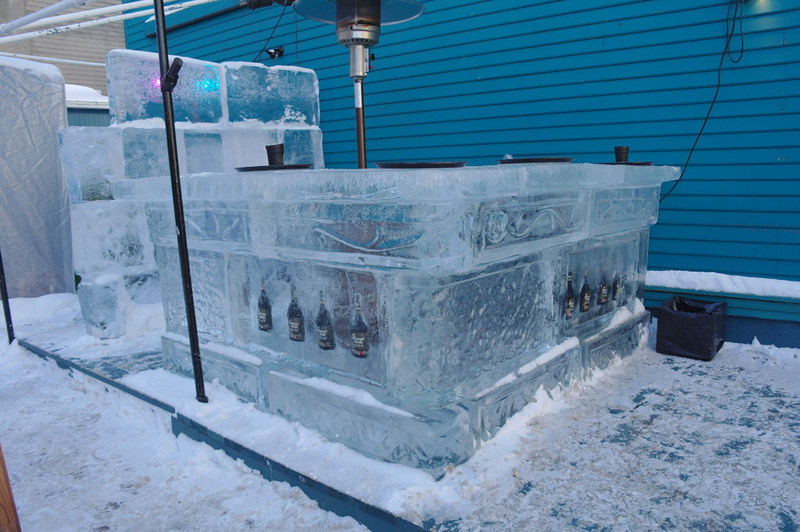 This outdoor patio of a bar had an ice bar with built in bailey’s booze froze right into it. Ah! It looks so cold there! BRRR! But those sculptures look amazing! Plus, it’s on my bucket list to stay at an ice hotel, and that looks like you got to experience some pretty amazing things there. I’d be a marshmallow, though. I’d have on even more layers than you! 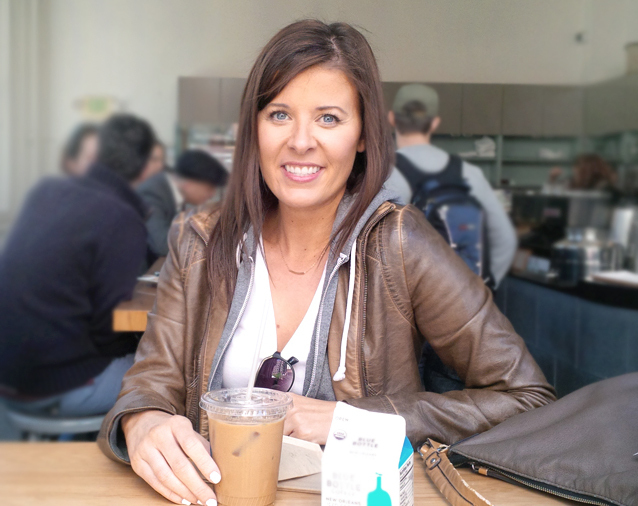 I’m in San Francisco right now and I’m freezing in 50 degree weather! 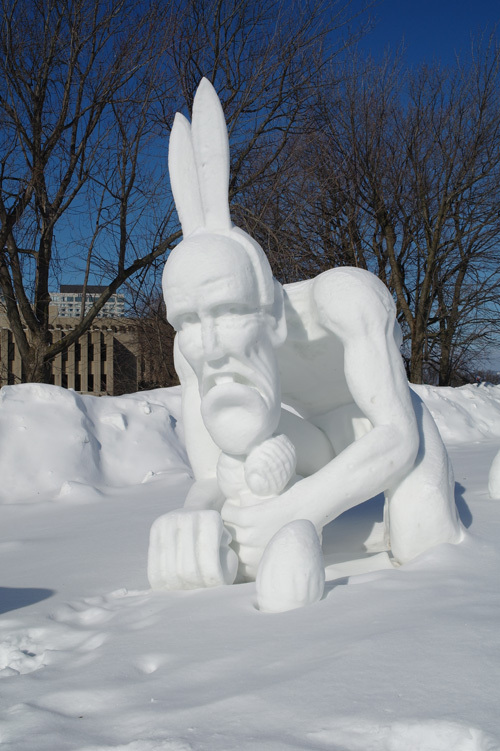 the snow sculpture ALMOST MAKES ME MISS SNOW. MizFit recently posted..I am *not* a foodie. I haven’t been to Quebec since 8th grade, surprising since I lived not far from their growing up but in the states. A group of us took a cruise to Nova Scotia and it was a lot of fun! 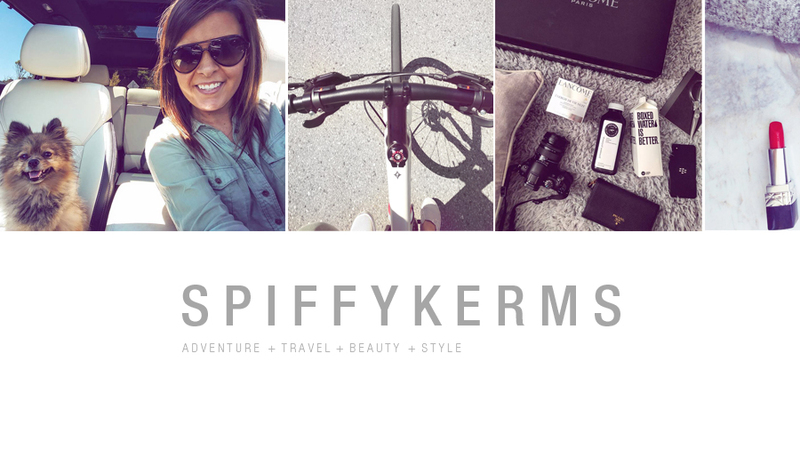 Kelly @ Cupcake Kell recently posted..FitnessGlo: Review & Giveaway! Wow such lovely pictures. 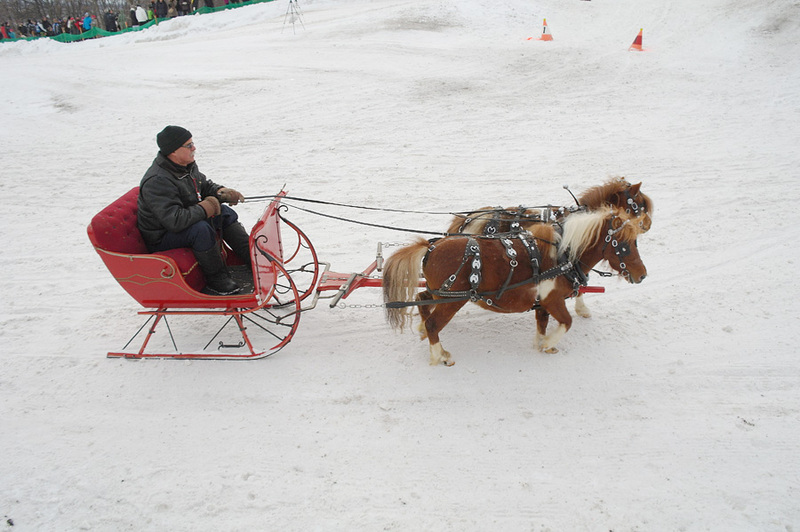 I love the tiny horses. 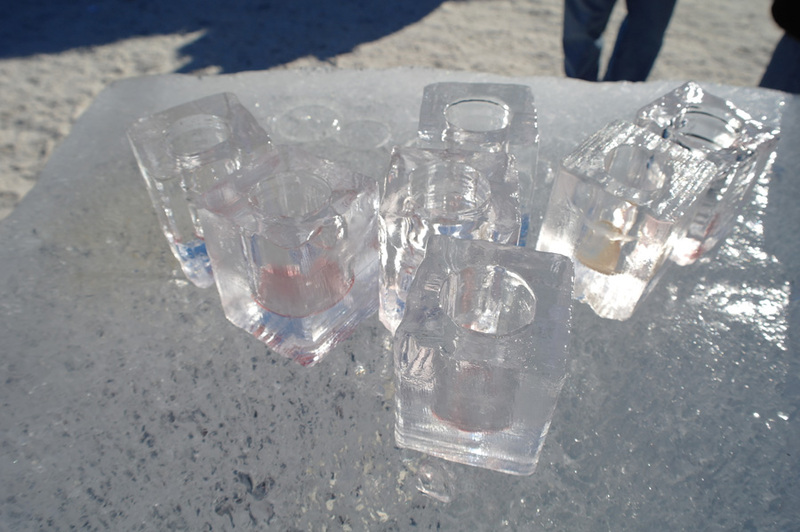 I went to an ice bar in Vegas, but wasn’t drinking at the time and was so confused when everyone else had these cool ice glasses and my drink kept turning to slush. Guess without the alcohol it will freeze something fierce.